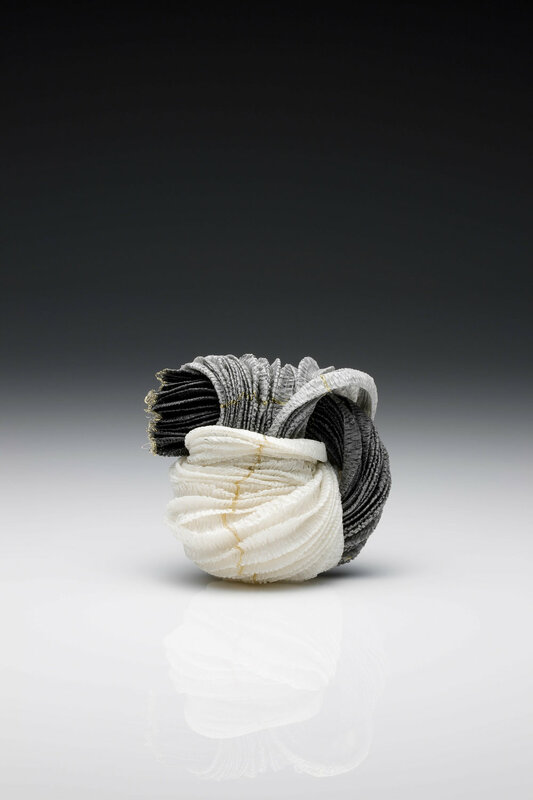 Kazumi Nagano is an artist reaching back to ancient traditions and reinterpreting these in a contemporary form. Her work is very much influenced by Nihonga, a traditional Japanese painting technique involving the use of rock pigments deriving from natural minerals. In her work, she makes use of colour as she would in painting. 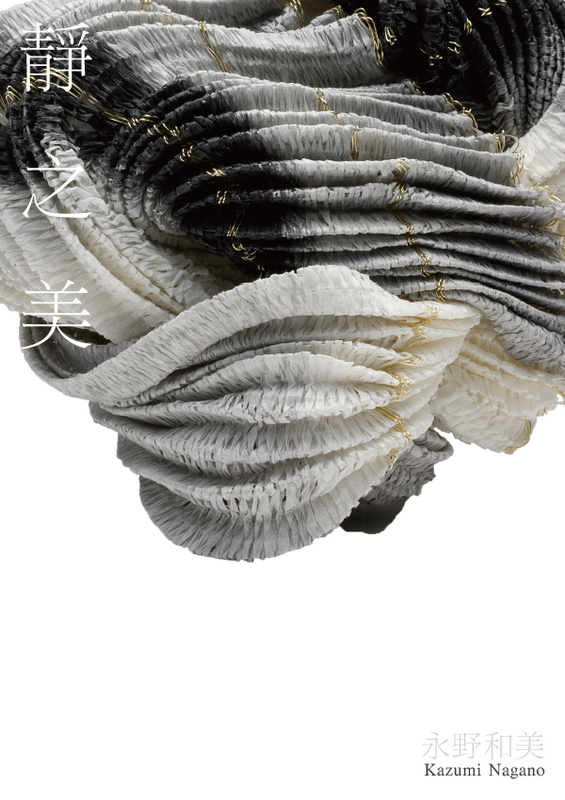 She weaves strands of Japanese paper thread, gold, platinum, bamboo tape, along with nylon thread, to give her pieces suppleness, developing voluminous structures to be worn. Interesting and unexpected effects are produced by transforming the woven material into three-dimensional forms and by combining the sequence of colour, light, and shade. The suppleness of the pieces facilitates interrelation with the human body and makes them all the more appealing to touch. 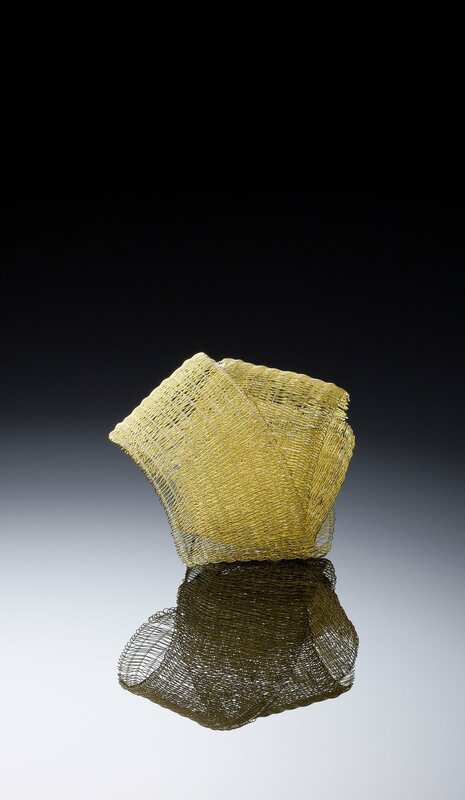 Kazumi Nagano conveys delicacy, calm, and beauty by means of creating soft shapes.